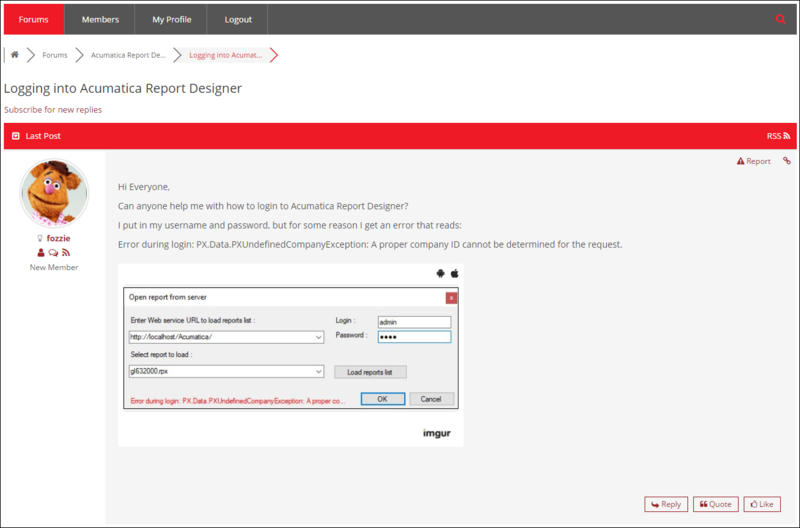 What about a Consulting Forum for Acumatica Reporting Questions? 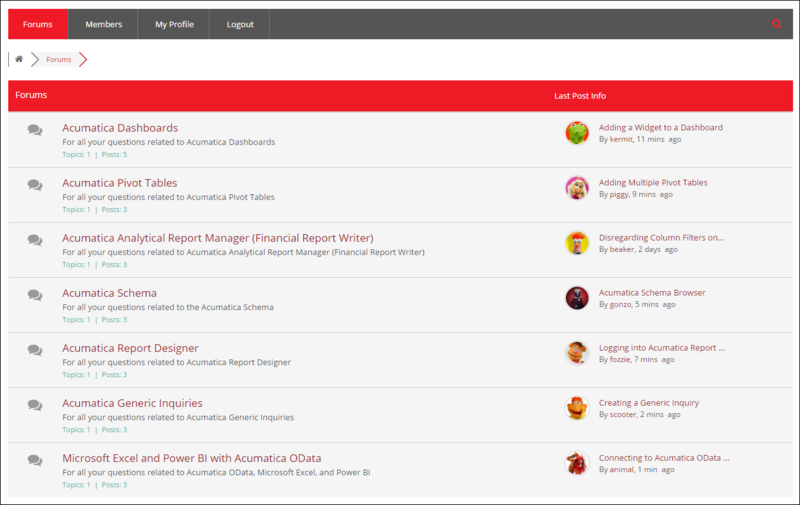 Do you have questions about reporting in Acumatica? Wouldn’t it be nice if there was some kind of Acumatica Reporting Club? Wouldn’t it be nice if there was a place that you could go to that was focused specifically on reporting in Acumatica? A place you could go to for consulting advice on creating Acumatica Dashboards, Acumatica Pivot Tables, Acumatica Analytical Report Manager (Financial Report Writer), the Acumatica Schema, Acumatica Report Designer, Acumatica Generic Inquiries, and Microsoft Excel and Power BI with Acumatica OData. Well, I’ve had the idea to create such a place for a while now. And now I’m ready to do it. This would be a substantial effort on my part. So I would charge a fee for membership. So I’m setting out to create a “club” for reporting in Acumatica. It’s like a “consulting” offering, but not quite, because all interactions would take place in an online forum. No private one-on-one sessions. This is bad because you don’t get the soothing voice of a consultant on the other end of the phone, reassuring you and guiding you through step-by-step. But this is good for a number of reasons. First, you don’t have to wonder what other things people are asking about. All members get to see all interactions so you get to see questions that you might not even have thought about. Second, the forums will become a kind of knowledgebase, something that you can refer back to again and again. Third, you don’t get charged $150-$200 per hour. It’s also not a “support” offering. A “support” offering usually has some kind of SLA (Service Level Agreement) with a guaranteed response time and someone standing by at all times on some kind of hotline to answer questions. A “support” offering also is usually more focused on solving specific technical issues and not as much on solving real-world problems, actually helping you see your report all the way through to completion. This would not be that. I want to provide a “consulting” service in the form of an online forum so that you can build the kinds of reports that you want to build. Also, all the members can benefit from a kind of synergy. It drives me crazy when I research a problem and respond with a long email because I realize that only one person will benefit when I click the SEND button. I want many people to benefit, everyone who becomes a member of the “club”. I will not be a “dictator know-it-all” on these forums, but a fellow member, humbly sharing whatever knowledge I can, encouraging any and all types of questions, researching new knowledge when needed to respond to discussions, and fostering the kind of camaraderie that you would expect from an exclusive club, like an upscale gym membership. When I worked for Acumatica, I got to teach several classes on reporting and give a few sessions on reporting at the annual summits. So I know that reporting is a very popular topic. There is always an ongoing need for reporting because, after the dust settles on the Acumatica implementation, the appetite for dashboards, data-driven decision-making, and information only grows over time. I experienced this when I worked for a manufacturing company in Cleveland, Ohio. After the implementation was done, and after everyone got used to the new system, the appetite for reporting ramped up. It was almost insatiable. The more I gave them, the more they wanted. The idea for a “club” for reporting in Acumatica is to address the insatiable appetite for reporting among Acumatica customers. But not only customers, partners too can become members. And the only thing public is your username. So, if you are afraid of asking “stupid” questions, you can get creative with your username and enjoy a level of anonymity that will save you from any real (or perceived) embarrassment. Here is a screenshot of what the main page looks like, with the first few muppet seeded posts. And here is a screenshot of a discussion post. Note the ability to show screenshots (embedding video is possible too). I struggled with what to call this “club” for reporting in Acumatica. At first I wanted to call it the “Acumatica Reporting Club”, but I realized that I couldn’t market something that had “Acumatica” in the name because Acumatica’s lawyers would probably come after me for some kind of trademark violation. So, I sat down and tried to think of a way to convey “Acumatica Reporting Club” without actually saying “Acumatica Reporting Club.” I spent millions of dollars on marketing experts, physiologists, and linguists all with the goal of causing some kind of primal element in you, the person reading this, to think “Acumatica Reporting Club” without actually reading the words “Acumatica Reporting Club” (hopefully you’re sensing the sarcasm here). I conducted focus groups, performed split testing, and used machine learning artificial intelligence bot jedi knight kung fu ninja panda algorithms to concoct the perfect phrase that would subliminally communicate “Acumatica Reporting Club” without actually using those words. It took a long time, but I eventually came up with a very clever name for this exclusive club of Acumatica reporting knowledge goodness. Want to know the name? I should note that ARC is 100% applicable to our MYOB Advanced friends down in Australia. At least I think it is. Maybe you can confirm Richard Duffy? And the linguists that I consulted with ensured me that “ARC” would convey the meaning of “MYOB Advanced Reporting Club” to people who have lived in Australia for six months or more (still picking up on the sarcasm?). Just note that the membership price listed below is in American dollars because silly Americans like myself don’t know how to think in any currency other than “American dollars.” By the way, that also goes for Inches, Feet, Miles, and Gallons as well. We are just not sophisticated enough to endure a metrication process like you all did back in the 1970s. I’m still working on a few technical hurdles to make ARC available (like the PayPal integration, tailoring the email messages, making sure the hand-off between the tools that I’m using is as seamless as possible, etc. ), but, in the meantime, I’ve been struggling with how to price it. If I was doing this as a consulting offering, then I would charge the going market rate of $150-$200 per hour. But this is a membership, not measured in hours. I also thought about whether the fee should be monthly or yearly. I’m thinking a monthly fee, but I’m not 100% sure if this is best. I also realize that ARC will give you the knowledge to use the reporting tools that are already available to you, without you having to go out and purchase additional reporting software for thousands of dollars. So it will save you money. And then there is the HUGE value of learning from others and getting ideas that you never would have thought of on your own. It’s also mobile friendly. The 7 forums listed above will be delivered on this website, but on a mobile-friendly platform. So you can browse the forum, use the search function, reply to discussions, or start new discussions all from the convenience of your mobile device. This is important because sometimes the best reporting ideas come to you when you’re away from the office: maybe you’re on a plane, maybe you just got out of the shower (a great “ideas” place), or maybe you are waiting in line to get your driver’s license renewed. You can easily get out your phone and jump on ARC. So, I know that ARC is a very valuable tool. I’m just not sure how valuable. Currently, I’m thinking to charge $99 per month for membership in ARC. That’s less than 1 hour of consulting time at $150/hour. And you have access for a WHOLE MONTH. But I’m not sure if that is too cheap. I’m interested to hear your thoughts in the “What are your thoughts” section below. Update June 30th, 2017: Thanks everyone for the feedback below, on LinkedIn, and via email. I have decided to make ARC available for a one-time fee of $10. For more on that, see this page (click here).